The Old Town Pump does have an old pump in it, but everything else is newish, except for the customers and staff. 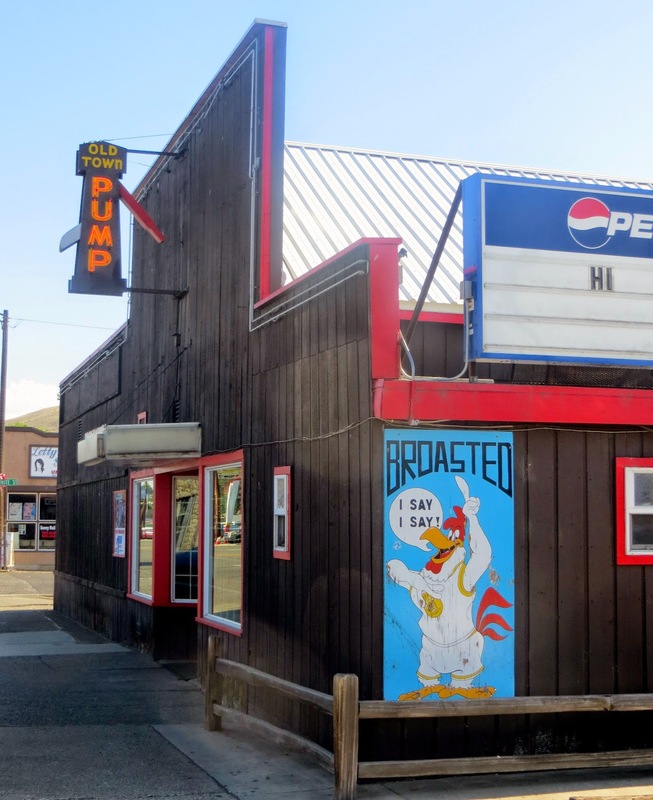 However it does appear to date back to about 1960, and it looks like it has been very substantially remodeled after the old tavern was shut down in 2010. It has an old timey, wood exterior but is more like a cafe inside, serving up pretty standard drinks and pub food. August 2018: excellent friendly place, Next to the famous tamale cafe.